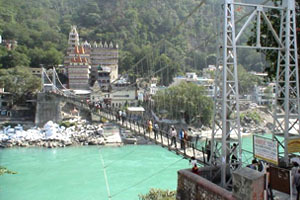 Ram Jhula is a famous landmark place in Rishikesh city. 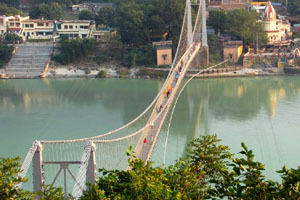 It is an iron suspension bridge over holy river Ganga. Ram Jhula has the length of 450 feet connecting Shivananda Ashram with Swargashram. 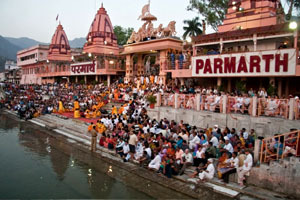 Ram Jhula also offers a panoramic view of river Ganga and Rishikesh city having number of temples. Ram Jhula, located in Muni Ki Reti, is one of the main attractions of world's yoga capital - Rishikesh! It is a suspension bridge, which was built over the River Ganges in the year 1986. 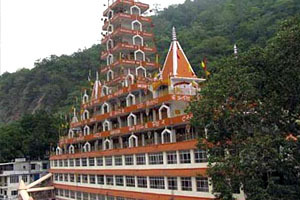 Geeta Bhawan is a large complex located at the banks of holy river Ganaga in Swargashram, Rishikesh. Huge complex of Geeta Bhawan has several discourse halls and over 1000 rooms for the comfortable stay of devotees free of cost. 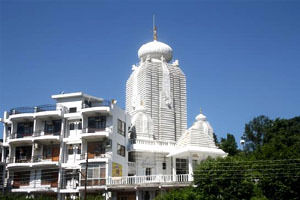 Geeta Bhawan is a major place for devotees from far away places as they get free stay during their holy dip in river Ganga with listening to discourses and meditation. Triveni Ghat is a sacred ghat in Rishikesh famous place where pilgrims takes bath. Triveni words comes from join of two words Tri (three) and Veni (confluence) meaning confluence of three. 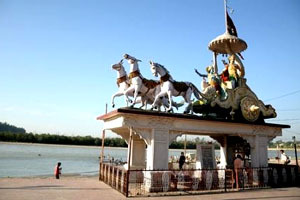 Triveni Ghat is located at confluence of three religious rivers Ganga, Yamuna and Saraswati. Aprat from holy bath, pilgrims takes holy dip in river Ganga and offered prayers. At Triveni Ghat, evening aarti is performed everyday and hymns recited in praise of the river Ganga. Maharishi Mahesh Yogi Ashram, also popular as Beatles Ashram, is one of the mystical attractions in Rishikesh. 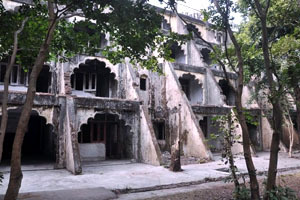 The ashram gained prominence in 1968, after the world-famous musical band Beatles stayed here. They came to this place to get advance training on transcendental meditation. Through meditation, Maharishi Yogi imbibed a new vision of life in the Beatles. 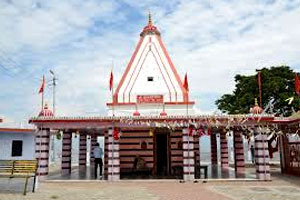 Bhootnath temple is hindu temple dedicated to Lord Shiva. 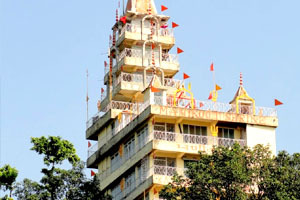 Bhootnath Temple is located in Swargashram area behind Parmarth Niketan Ashram. Bhootnath Temple has multiple floors. The main temple is small temple on top floor. From the top floor you will get amazing panoramic view of Rishikesh. Madhuban Ashram is a traditional guest house situated in the Gateway to the Garhwal Himalayas, . The soothing temple complex makes your day starts with positivity and serenity. There is a beautiful temple of Lord Krishna and Lord Rama in the premises of the ashram. 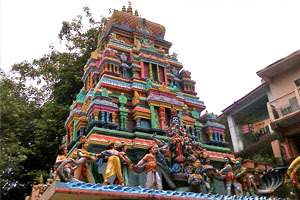 The ashram follows all the rituals and traditions of ISCON temple so it is also known as ISCON temple. The entire regions of Uttarakhand are known for the picturesque locations for camping and Marine Drive is among the best out of those locations. This Himalayan town has inspired many adventure enthusiasts over the years to freak around the various locations. 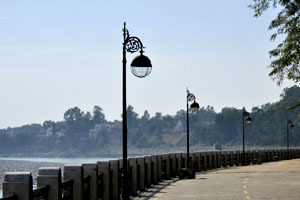 Marine Drive brings the most tranquil and nature rich camping spots in Rishikesh. 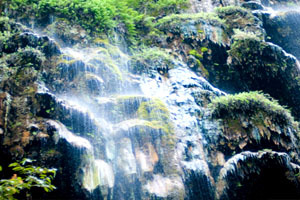 It is located around 26 km from Rishikesh. 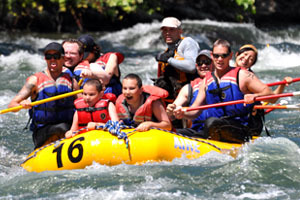 Rishikesh main market is situated near the famous triveni ghat area. This market is very famous among local people. They visit this place for buying goods related to daily needs. Here, you can get a wide range of clothing. 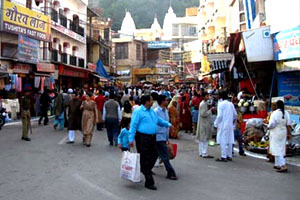 Tourists can also visit this market to buy apparel which are unique, hold an association with Rishikesh and are affordable. Woollens, bedsheets, sofa covers, pillow covers, and clothes for kids are also available here at attractive prices. A visit to Rishikesh Main Market is a must if you want to enjoy your trip completely and have ample time in hand. 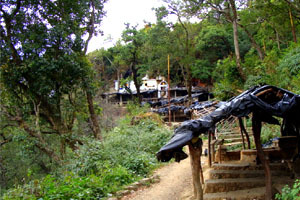 Vashistha Cave or Vashistha Gufa is an ancient cave where great Sage Vashistha meditated. As per Hindu mythology, Sage Vashistha was a manas putra (human son) of Lord Brahma and one of the seven great sages (Saptarishi). Located at 25 km from Rishikesh in Badrinath road, Vashistha Cave is popular among visitors comes for deep meditation in Rishikesh. 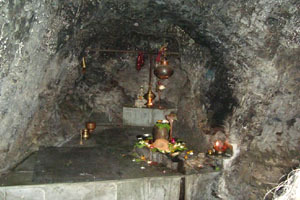 Vashistha Gufa has a Shivlinga in it and near the Vashistha Cave there a Swami Purshottamanand Ashram which manages the cave. The Rajaji National Park, uttaranchal/ uttarakhand is spread over an area of 820.42 SQ. K.M. It is a home of 23 species of mammals and 315 species of Birds. The park is home of Asian Elephants, Tiger and King Cobra, Panther, Bear, Chital, Sambar, Wild Boar, Kakar, Python, Monitor Lizard, Wild Cats and many more. 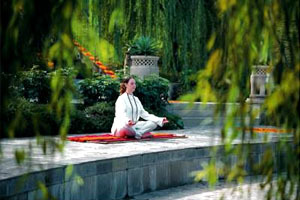 Ananda in Himalayas is a best Spa destination in the world and number 1 for yoga and meditation. Once the residence of Maharaja of Tehri-Garhwal, Ananda is now the ultimate escape from the mundane to the spiritual, where every corner spells harmony and every colour soothes the senses. 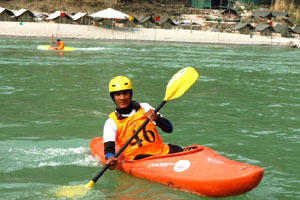 Kayak is a small boat where the paddler faces forward, legs in front, using a double-bladed paddle. In Kayaking activity we use the Kayak for moving across the water. Kayaking and canoeing both are paddling activities. But they are different by the sitting position of the paddler and number of blades on the paddle. 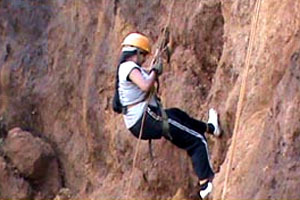 Rappelling is one of the most daring adventure activities offered in Rishikesh. Simply put, Rappelling means lowering one self down from the rock face. Our team of instructors for rappelling are all certificate holders from Nehru Institure of Mountaineering, Uttarkashi. Our team is friendly and motivates you for this exciting activity of Rappelling. You can be assured of a safe and fun experience of Rappelling with our team. 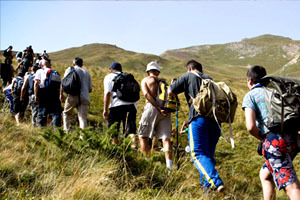 Hiking up the mountain is an excellent way to lift your spirits, and Rishikesh offers ample opportunities for adventurists to tramp the Shivaliks, while enjoying spectacular views of the underlying valley. This cycling tour in Indian Himalayas, will take you to Himalayan state of Uttaranchal, this trip is a mixture of Adventure & visiting some of the most prominent Himalayan pilgrimage spot of the country. 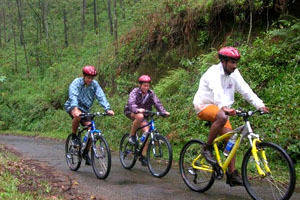 We will explore biking along the Ganges to witness the attachment & lifestyle along the most respected river in the world. (Bungee) at Mohanchatti near Rishikesh. A Cantilever platform built over a iron cliff over looking a rocky river HYUL, a tributory of River Ganga. Jump with rubber cords tied to your ankles and feel the adrenaline rush like never before. 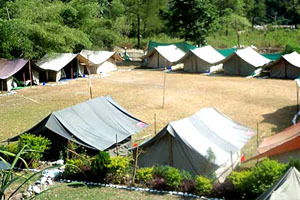 The riverside jungle camp in Rishikesh is situated in the Neelkanth valley. It is a good-looking riverside campsite situated on the outskirts of Rishikesh and right next to Rajaji National Park, giving it a genuine natural look. The noise of the flowing irrigate from the stream can be heard throughout the day.